The house is at John Luty Drive and old Colchester Road. Firefighters are battling a three-alarm fire at a house at the corner of John Luty Drive and old Colchester Road. Fire officials said the fire was three alarms because the water source was more than a mile away. 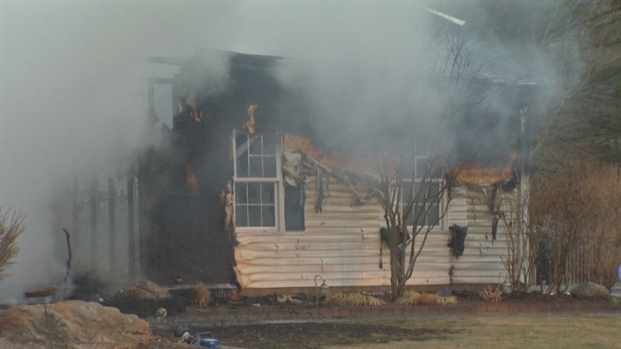 Firefighters responded from surrounding towns to help extinguish blaze.